Facing the realities of the complicated health insurance market, Republican members of Congress have wavered over the past week on a Senate bill to repeal President Barack Obama's healthcare law, pushing instead a strategy of crafting a replacement before going ahead with repeal. Last Tuesday, Republican Senate leaders introduced a bill that would use the budget reconciliation process to undo significant parts of the Affordable Care Act (ACA), better known as Obamacare. On Monday night, however, five GOP Senators — Bob Corker of Tennessee, Rob Portman of Ohio, Susan Collins of Maine, Bill Cassidy of Louisiana, and Lisa Murkowski of Alaska — submitted an amendment to the bill in the Senate that would extend the deadline for the committees to craft a repeal bill from its current January 27 deadline to March 3. "By extending the deadline for budget reconciliation instructions until March, Congress and the incoming administration will each have additional time to get the policy right," Corker said in a statement on Monday night. "Repealing President Obama's health care law and replacing it with a responsible alternative is a top priority, and by exercising due diligence we can create a stable transition to an open healthcare marketplace that provides far greater choice and more affordable plans for the American people," he added. Corker also emphasized that President-elect Donald Trump has said "repeal and replace should take place simultaneously." Other GOP senators have expressed a desire to make sure there is a replacement plan in place before repeal is triggered. Sen. Tom Cotton of Arkansas told MSNBC last week that he also had reservations on repealing the law without a replacement ready to go. "It would not be the right path for us to repeal Obamacare without laying out a path forward," Cotton said. Sen. Lamar Alexander also has said the GOP has to "consider what it would take to create a new and better alternative and then begin to create that alternative" before repealing the ACA. Given the slight majority of Republicans in the Senate and the unwillingness of Democrats to help tearing down Obama's signature legislative achievement, even a few defections from the Republican Party would cause a repeal bill to fail on a vote. It also appears that the Trump administration is working with congressional leaders to lay out a plan to replace the bill before any repeal happens. The Associated Press' Erica Werner reported that top Trump advisers Steve Bannon and Jared Kushner, along with incoming chief of staff Reince Priebus and Treasury Secretary-designate Steven Mnuchin all met with House Speaker Paul Ryan for two hours on Monday night. At the conclusion of the meeting, Bannon told reporters the group was "still thinking that through" in regard to the Obamacare repeal and replacement. Simultaneously, Sen. Rand Paul has been gathering support over the past week to delay any repeal of Obamacare until the GOP has a full replacement bill ready to go. Paul has cited concerns over a possible increase in the deficit due to a repeal and has tweeted that Trump supports his call for a replacement on the same day as repeal. Concerns have been raised over the past week by Republican leaders that any repeal without a replacement may lead to a disruption for those people in the individual marketplaces — that is, those not getting their insurance through their employer or a government program like Medicaid or Medicare. 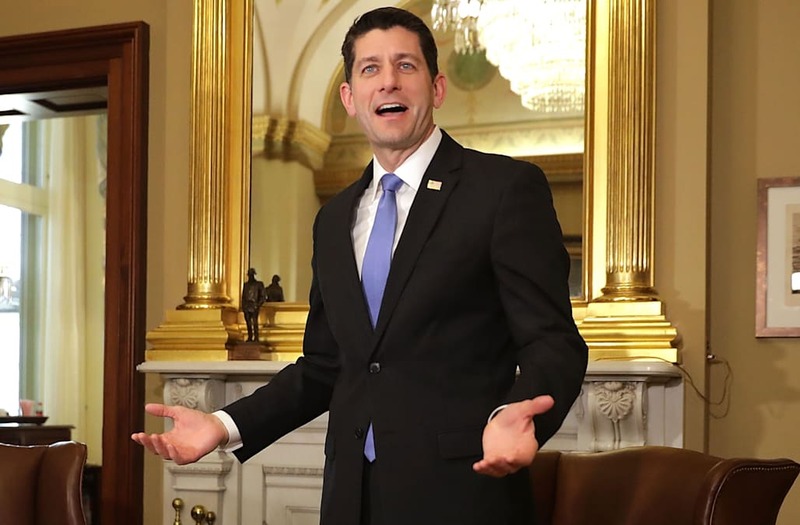 Given that more than 23 million people gained healthcare coverage through various provisions of the ACA, GOP leaders appear to want to ensure that there is no gap in their care, given the political and practical complications. Additionally, health policy experts have expressed concerns that the possibility of repeal with no clear replacement could lead to insurers pulling out of the individual marketplace at a faster pace, leaving fewer choices and potentially causing price increases that would make current premium hikes look small by comparison. The move would also be politically unpopular. A poll by the Kaiser Family Foundation, a nonpartisan healthcare-focused think tank, found that just 20% of Americans want Obamacare repealed even if there is no replacement. Another 28% want a repeal if there is a replacement plan ready, while 47% do not want a repeal at all. Former Republican House Speaker and Trump confidant Newt Gingrich told Fox News on Monday night that Republicans are worried about a possible loss of coverage for some Americans. "I don't think Republicans want to have 23 million people out there worried that they're going to lose their insurance," Gingrich said. GOP senators such as John McCain of Arizona have also expressed reservations about possible coverage lapses. Collins, a sponsor of the amendment to delay the repeal, said in a statement Monday night that avoiding coverage lapses is a key part of the reason Republicans should delay. "Repeal and replacement is a complicated task, and my number one concern is that we not create a gap in coverage for individuals who are currently insured and who rely on that coverage," Collins said in the statement announcing the amendment. And Democrats appear to be unwilling to help kill Obamacare. Senate Minority Leader Chuck Schumer previously told the Washington Post that Democrats "will not then step up to the plate and come up with a half-baked solution that we will partially own." In a meeting with Democrats on Capitol Hill last week, Obama told members not to "rescue" Republicans with a replacement bill and to call any changes to the ACA "Trumpcare." As for the current administrators of the law, it appears the administration will go full steam ahead with the current open enrollment period until Trump takes office. As of the end of 2016, 8.8 million people had signed up for plans through Obamacare according to the Department of Health and Human Services. Additionally, Obama, HHS Secretary Sylvia Burwell, and Centers of Medicare and Medicaid Services chief Andy Slavitt have been on a public-relations blitz to defend the growth of the law and its positive impact on patients and Americans before Trump is inaugurated next week.